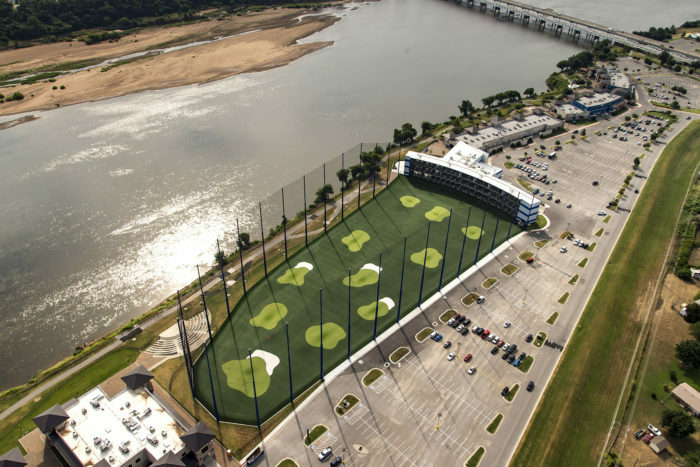 Modeled after contemporary sports stadiums, FlyingTee is Tulsa’s premier golf, dining and entertainment venue. 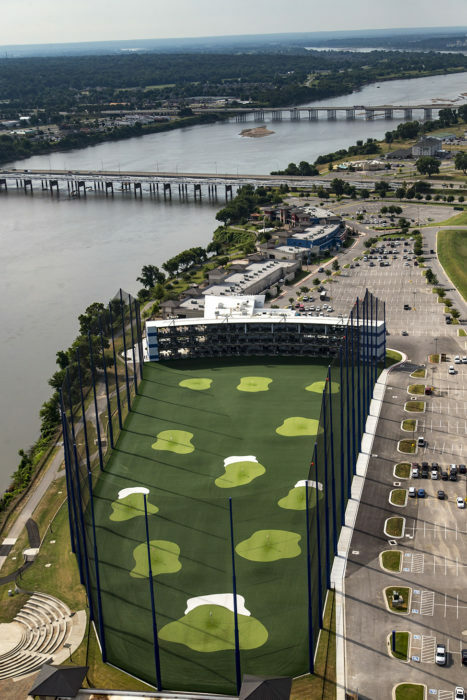 Located on the banks of the Arkansas River, the facility features 60 hitting bays, two restaurants, a bar, a putting green and group entertainment venues. 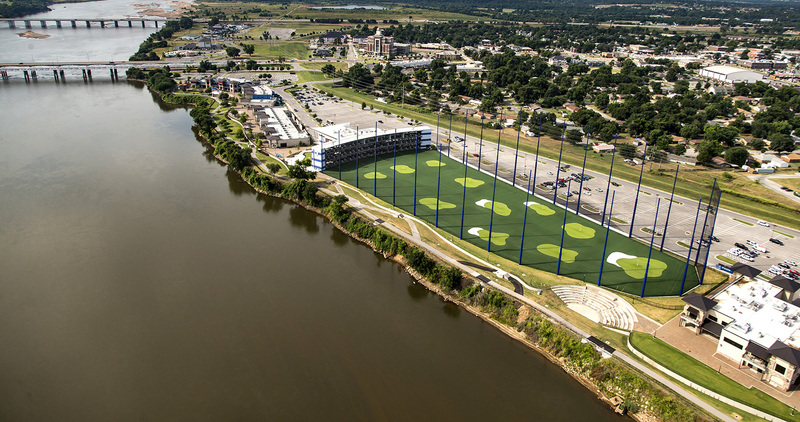 Hitting bays utilize advanced golf ball tracking technology, providing real-time data on every swing and allowing patrons to virtually play on more than 30 of the world’s most famous courses. Wallace Engineering provided civil engineering for the new entertainment development. 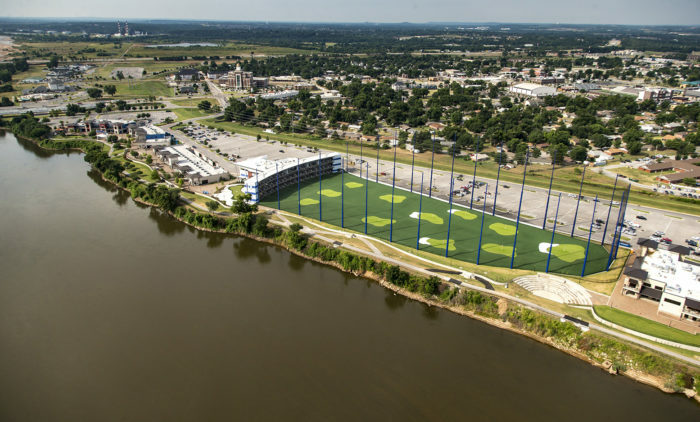 These services included the demolition of an existing theater on the site, erosion control, easement creation and vacation, grading and draining design, and utility design for water, sanitary sewer, gas, power and communication services.